Windows are so common that we tend to overlook them, not minding how they were a product of human ingenuity as old as civilization itself. This important home component has a rich history, from its invention to the residential window replacement projects we are familiar with today. Windows were originally created for the purpose of architectural decoration. Eventually, they became a staple piece in every household to circulate air, bring natural light into an interior and enhance the aesthetic appeal of a home. Early humans used stone, wood and translucent materials like mica for their wall openings before transitioning to glass. The first glazed window first appeared in Rome; glass fragments were discovered in the ruins of Pompeii. Later on, the Byzantine period introduced stained glass windows in churches. Today, most replacement window contractors say that modern windows have evolved to fit the demands of the modern lifestyle. Homeowners of today’s generation have favored the use of energy-efficient windows for both style and functionality. These are the windows manufactured with gas fills between the panes and quality frame materials for air leak prevention. This, in turn, allows you to reduce your reliance on artificial cooling, saving money that would otherwise be spent on air conditioning. In the past, homeowners often installed their own windows, but today’s energy-efficient windows can only be installed by professional window contractors. 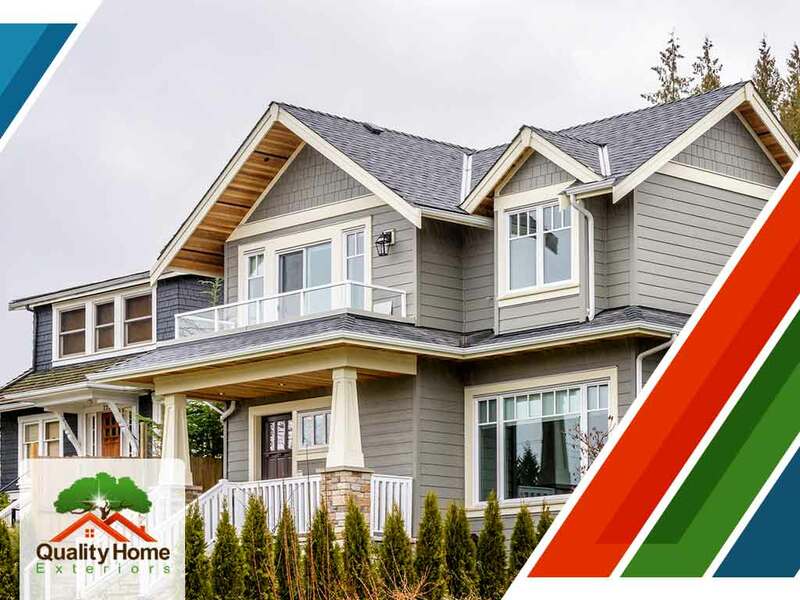 Quality Home Exteriors, experts in home window installation, offers the high-quality window replacement that you deserve. You can contact us at (402) 401-4505 or fill out our contact form to schedule a visit from our experts. We serve homeowners in Omaha, NE, and the surrounding areas.